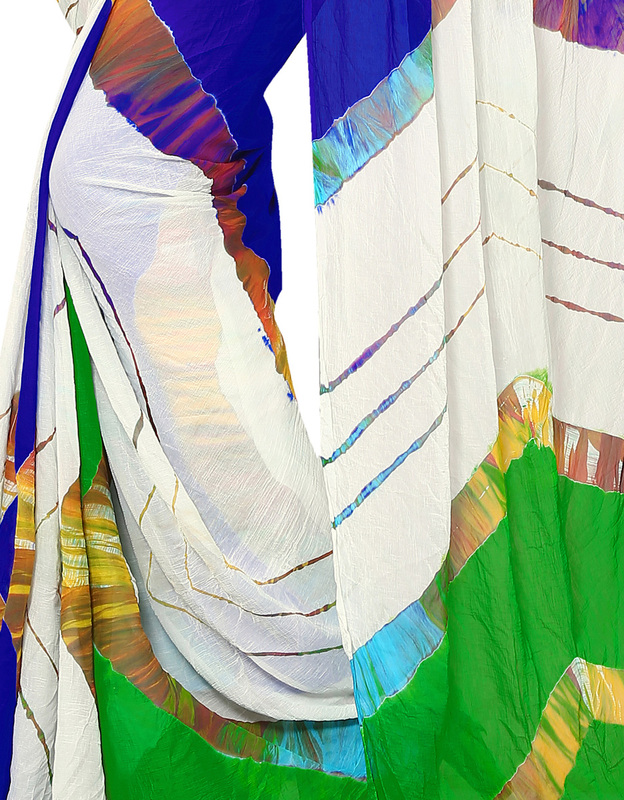 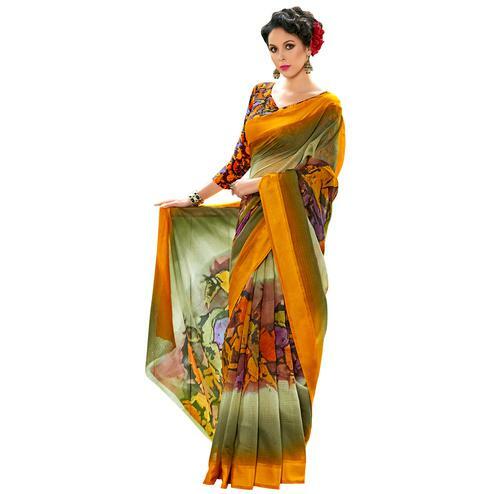 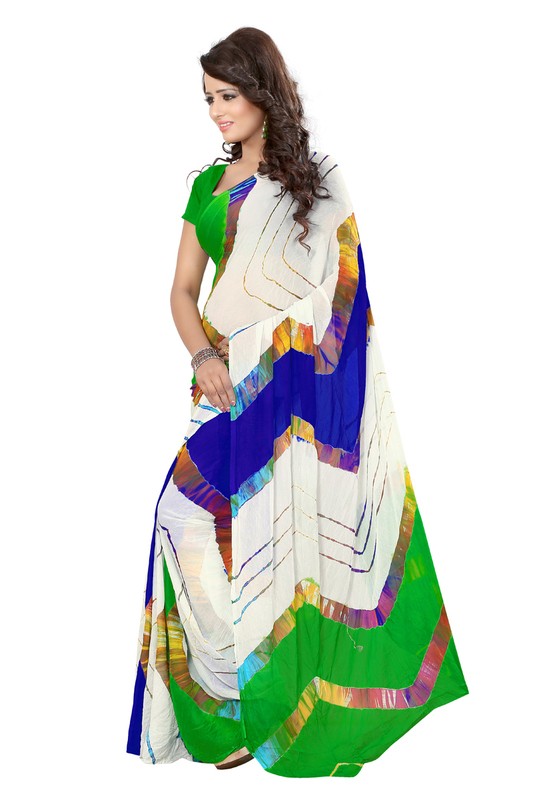 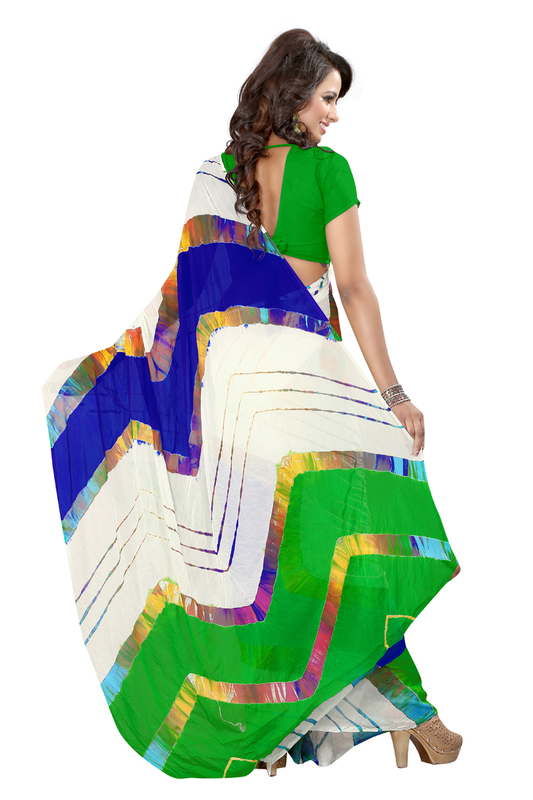 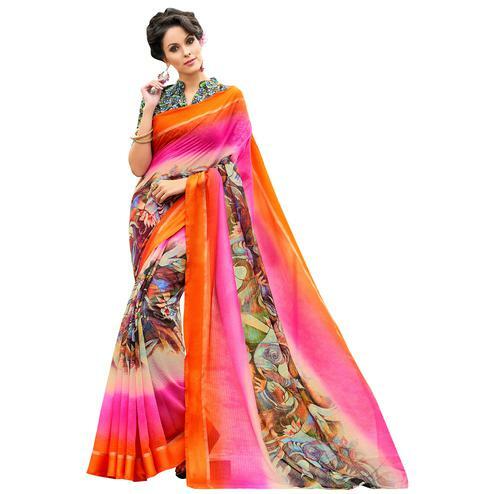 Showcase your ethnic roots by draping this piece of ethnic treasure in this multicolored chiffon saree detailed with abstract design & prints. 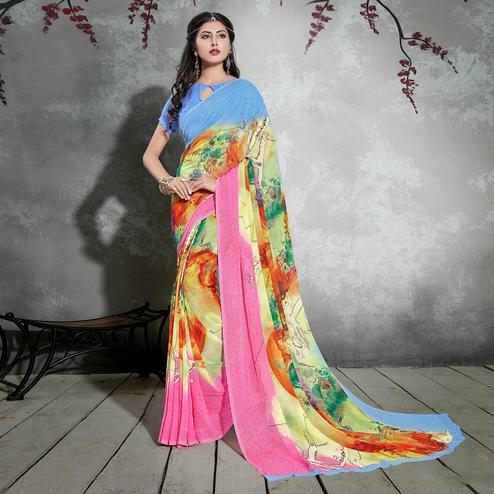 It's Ideal for casual & party wear. 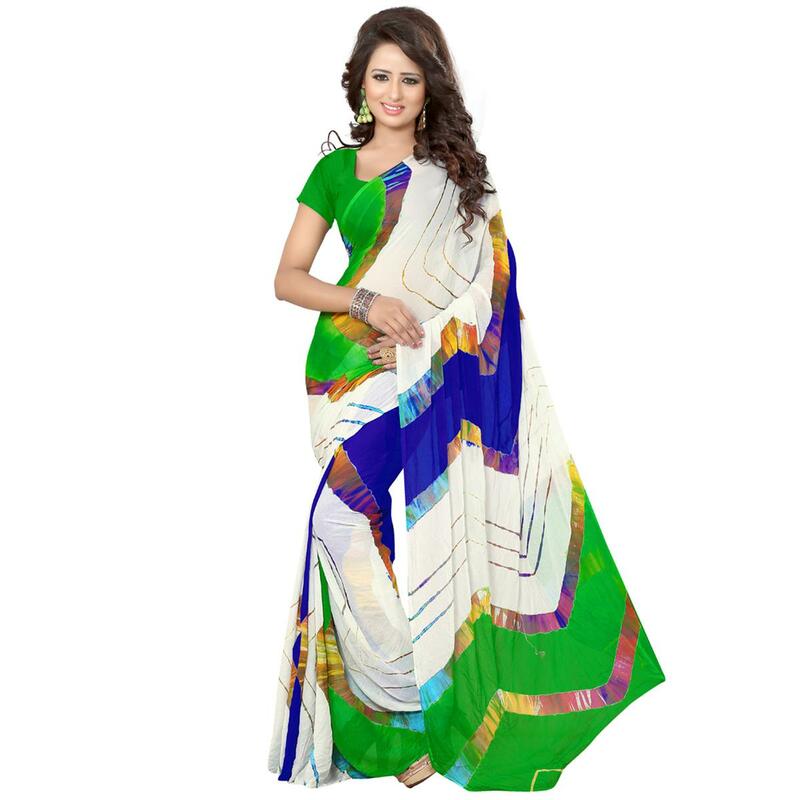 Saree comes with an unstitched blouse.